How to buy the Machu Picchu ticket for minors? 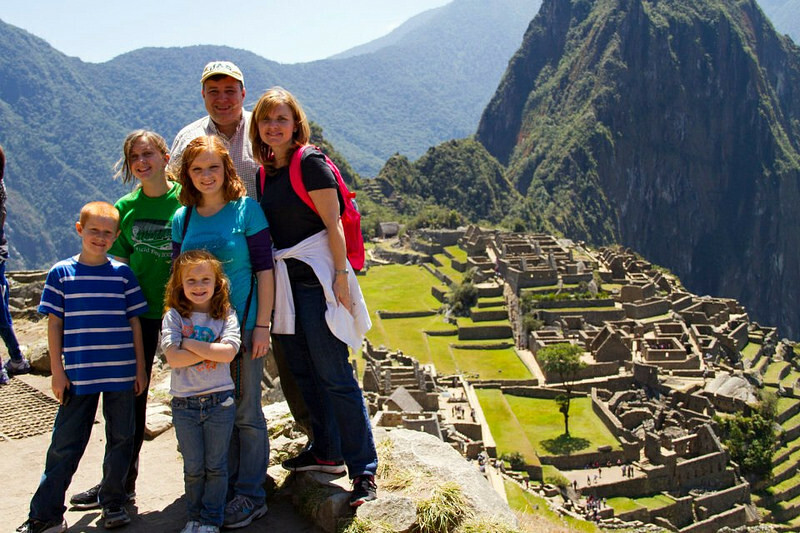 Are you planning to travel to Machu Picchu as a family? Know that children and young people between 8 and 17 years of age are considered minors. All of them can buy tickets to the Inca City of Machu Picchu with a special discount. Why travel to Machu Picchu with children? Can children climb to Machu Picchu? Do children pay entrance to Machu Picchu? Is there a Machu Picchu ticket discount for minors? How to buy the Machu Picchu ticket for children? How to enter Machu Picchu with a ticket purchased online? What other discounts does Machu Picchu offer? How to buy the Machu Picchu ticket for children on the official website? Do children under 8 enter for free to Machu Picchu? What other benefits do children have in Machu Picchu? Where to buy the Machu Picchu entrance for children? The Wonder of the World is a perfect place to travel with children. There, the history is combined with incredible outdoor walks. And all surrounded by a unique geography in the world. Machu Picchu is considered among the best places in the world to visit with a child according to the book ‘100 Places that can change your child’s life’ of National Geographic. The entrance to the Inca Citadel of Machu Picchu is allowed for all people. There the children can do the walk to the Intipunku (Puerta del Sol) or explore the mysterious Inca constructions. The Inca site is ideal for a family trip. The Huayna Picchu mountain is the most famous summit in Machu Picchu. Admission to this place is only allowed for those over 12 years old. Children can have a similar adventure in the Machu Picchu mountain. At the top of this summit the Inca Citadel can be seen from the top. The trails of Huayna Picchu are built next to huge cliffs. It is necessary to be careful during the journey. Children pay the entrance to Machu Picchu with a special discount. The purchase of the ticket is in person (in Cusco, Peru) or through the internet. Is there a discount on the price of the Machu Picchu ticket for minors? To access the discount on the price of Machu Picchu tickets for minors, you must make the purchase of the ticket by presenting the passport of the child or teenager. The discounts are for minors of all countries. The people of the Andean Community of Nations (Peru, Colombia, Ecuador and Bolivia) have an even higher discount. The purchase of the ticket for children is in person or online. 1) Enter the website of a tourism agency that offers tickets to Machu Picchu. 2) Review the availability calendar of the type of ticket of your preference. 3) Complete the booking form with the details of each of the visitors. Include the information of children or adolescents. 4) Send an image or digital copy of the passport of the minor to access the discount. 5) Make the payment of the requested tickets. Minors have access to a special discount. 6) The tickets are sent to the email address of the person who requested the reservation. Tickets purchased over the internet are in PDF format. To enter Machu Picchu you only have to print them and present them the day of the visit. All minors must enter Machu Picchu accompanied by their parents or persons empowered. At the entrance door they have to show the ticket along with the passport with which the reservation was made. The passport or identity document of the child must be valid at the time of the visit to Machu Picchu. The ticket to Machu Picchu also offers discounts for foreign students (under 25 years old) and citizens of the Andean Community of Nations (Peru, Colombia, Ecuador and Bolivia). The official website of the Ministry of Culture of Peru does not allow the purchase of the Machu Picchu ticket for children. The online purchase of this type of ticket is only allowed through the website of a tourism agency. The other alternative is to buy the ticket directly in the city of Cusco during the visit to Peru. Children under 8 do not need a ticket to enter Machu Picchu. However, they can not enter without their parents, relatives or legal guardians. All must be identified as such in the control of entry to the Inca City. Children do not need an early registration, they can visit Machu Picchu without inconvenience under the responsibility of their parents or guardians. Younger children (up to 3 years old) do not pay the price of the train ticket to Machu Picchu. Children between 3 and 11 years old have a discount of 50% on the normal price of the train ticket. School-age children (under 17 years old) enter the Machu Picchu Site Museum, Manuel Chávez Ballón, for free. We are ‘Ticket Machu Picchu’, a travel agency empowered to purchase tickets with different rates for minors. You can carry out the procedure online quickly and safely. In less than 24 hours, the tickets will reach your email. To enter Machu Picchu you should only print them. The mountain Machu Picchu is the recommended mountain in case of coming with small children. Their trails are wide and easy to traverse. It is not necessary to reach the top to have beautiful views of Machu Picchu. One of the best things for the trip to Machu Picchu with children is to hire a good guide. This can make an entertaining visit. If you come with babies, remember that you can only carry it in a kangaroo. In no way will they let you in with a baby car. One of the most worrying things on the trip to Machu Picchu is altitude sickness. Some children prefer ‘candy for height’. However, there is nothing better than drinking the famous coca tea.